Hi Beth, great post! 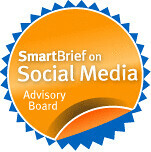 I was just musing about measuring the ROI of social media campaigns myself (http://charitychamps.wordpress.com/2009/04/29/measuring-roi-of-social-media-campaigns/). I analyze Internet Marketing ROI for for-profits as a day job so all of this is very interesting to me; the companies I work with have yet to use Twitter for a campaign but that day is probably not far off. Glad you enjoy the application and thanks for letting your readers know about it! Our hope is to always provide low-cost measurement tools for Twitter --- something I know non-profits can always use! Such a great post with amazingly valuable resources. 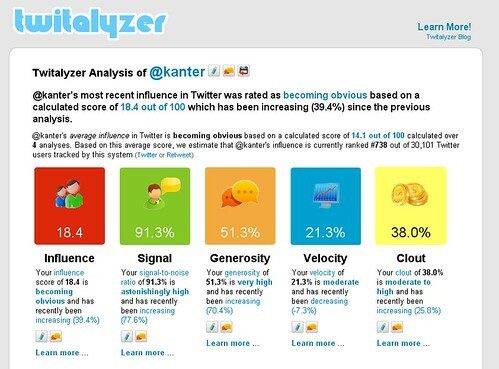 I found Jim Sterne's information on measuring engagement on Twitter particularly useful -- for all businesses/non-profits. Thanks for such a jam-packed post! Shouldn't we reserve the term "ROI" for impact on mission. For the Red Cross it's not about fans and followers or even money raised. Its about lives saved or disasters averted,no? I think we use ROI too casually. All your suggestions are great metrics, but if Wendy at the Red Cross can show that she helped more people in a crisis thru Twitter, or if Carie saves more puppies via Flick, that will trump Twitalyzer scores every time. 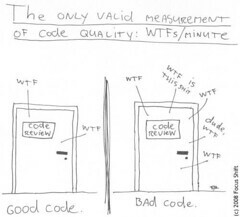 That has to be the best "metric cartoon" ever! I think Katie Paine brings up a point about terms that we are all struggling with coming to agreement on. I think you have provided a lot here for us to establish metrics for our own organizations and our individuals objectives. Eventually, common terminology will emerge, does anyone feel like pushing for common language? or will it have to emerge on it's own? are doing to get to impact? I have a tendency to want to hook everything to terms found in classic fundraising, so I'm looking for a term that fits within "cultivation" and the measurable return we can attach to monies spent in that stage of the development cycle. But that won't fly with Katie Paine, or the larger conversation that wants to tie the metrics to the mission impact (instead of fundraising). This also makes me wonder how standardized terms move from a few blog posts into wide use?